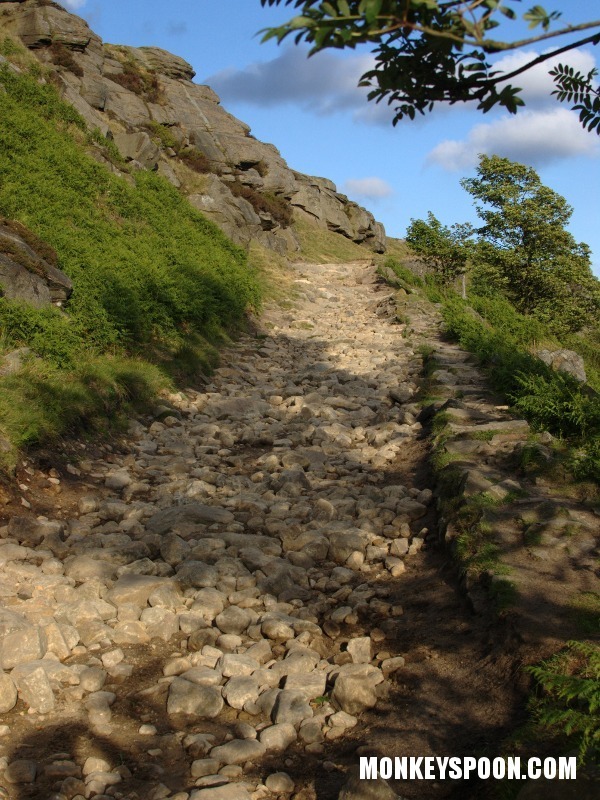 Stanage Causeway is a BOAT near Bamford, Hathersage in the Peak District, UK. 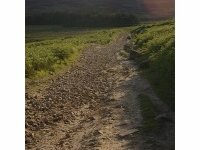 This page is intended to provide information for mountain biking on the track. 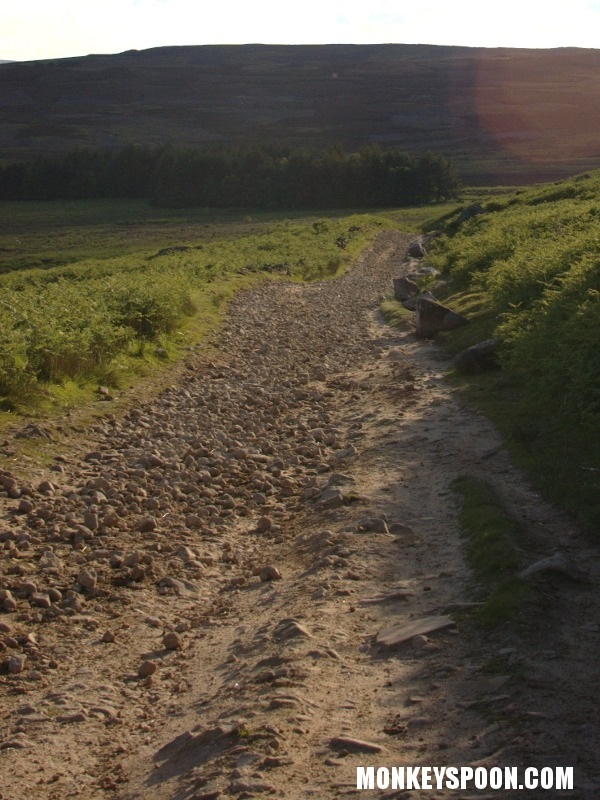 Surface: Since resurfacing work was carried out early 2011, the majority is covered in a fist size boulders. With some larger boulders and bedrock as it passes through the edge itself. Often standing water in winter. 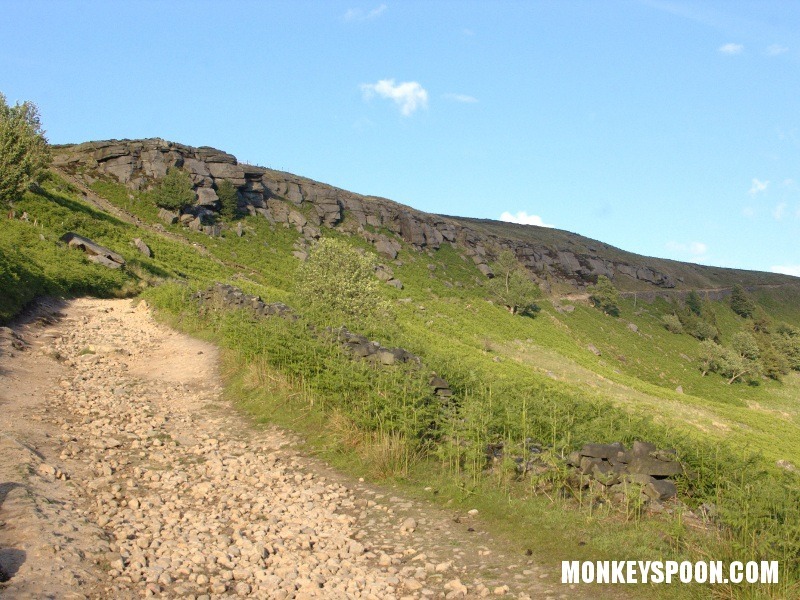 Starting on Stanage Edge at junction with the Stanage Plantation bridleway, the track heads NW, before curving round and ending on the road at Dennis Knoll Car Park. 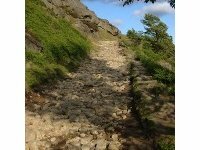 The first thing to note is that Stanage Causeway is a popular route for 4X4 and motor bikes. It is plenty wide enough, with the track being at least 8ft wide the entire route. 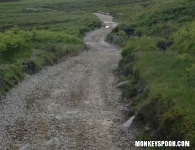 The majority of the route runs almost flat on a gentle incline. Before finally passing through and onto the top of Stanage edge. 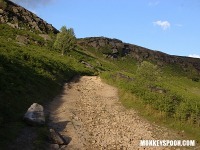 This track then turns towards Stanage pole before heading down towards Redmires Reservoir. 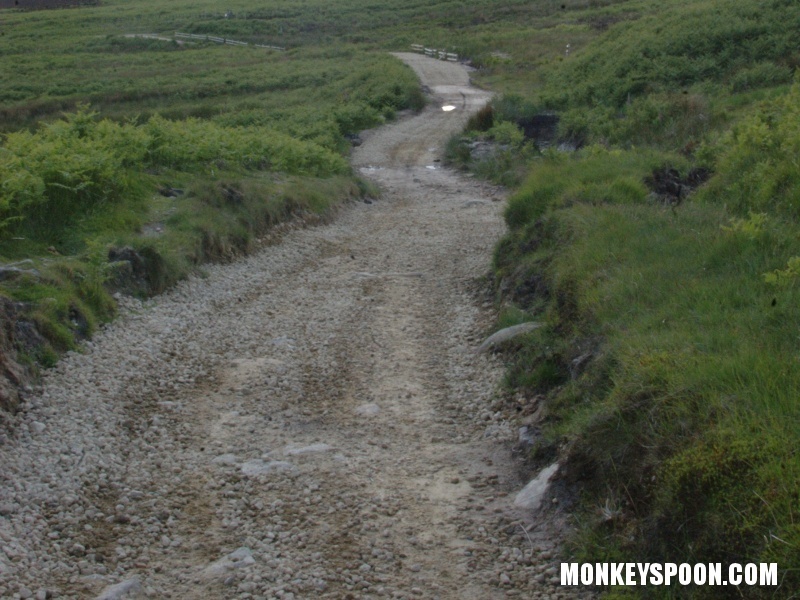 The causeway itself has been recently resurfaced (in early 2011). This has improved the drainage and some what tamed the decent. Due to its shallow gradient and being covered in fist size rocks mean it has become a slightly one dimensional descent. As other than the short section (100m) through the edge where there a many large angular boulders and sections of bedrock. Which can be easily ridden with care taken. The rest of the causeway lacks definitive lines due to being covered in the fist size boulders. If climbing this route, the hardest section to clear comes shortly before the end.